Can you believe its already the middle of March already? How time flies. And of course, it still feels like new year was just yesterday. 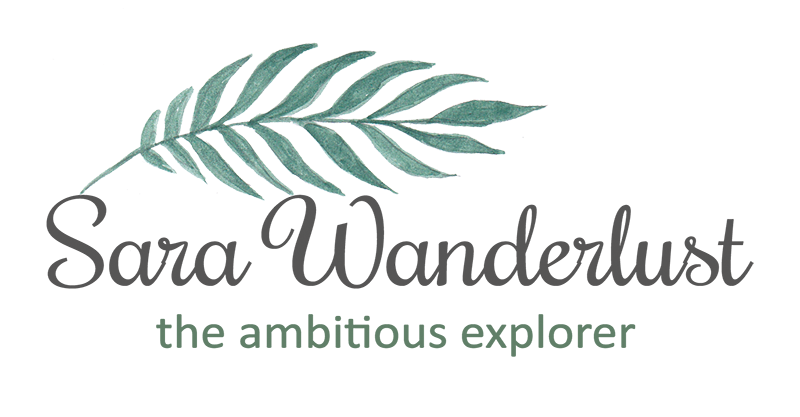 Well, ladies, in this post, i have something up for you! WARNING: This post might influence you to spend you monthly pay-check. HAHA. But of course, with savings, so that whatever you spend on is value for money. 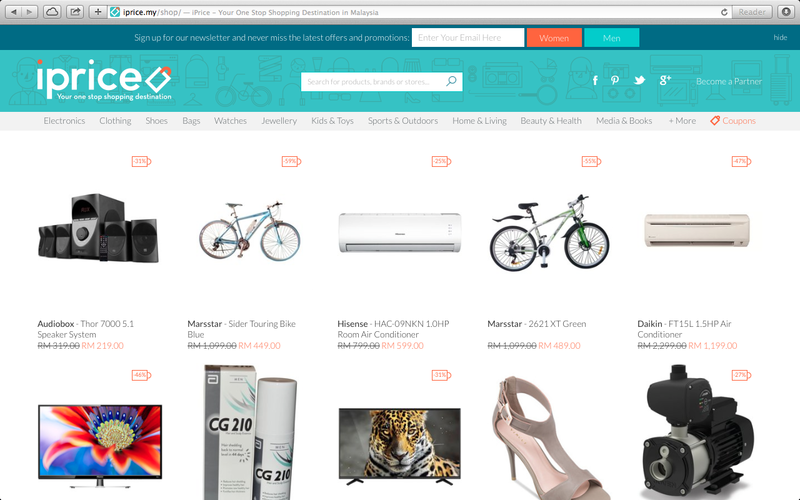 I just recenly came across iPrice Group and its a start-up e-commerce similar to Zalora, Lazada and yknow the drill. Well, they focus on helping online shoppers save money while they shop and also provide product information about different brands so that its convinient for you to comapre. Not only that, but they also haev coupon codes from other famous e-commerce like Zalora, Lazada and etc. The moment i heard about iPrice, i decided to look it up and boy you can find tons of options up for grabs! And youre welcome *wink. So here in my post, i took the consideration to share with you lovely readers on what iPrice is all about. 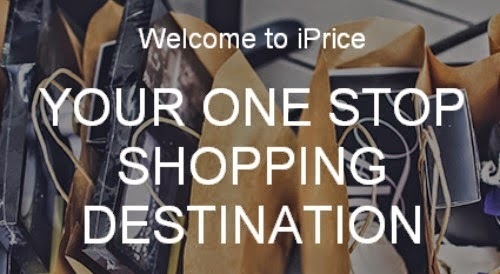 In a brief slogan, "Your One Stop Shopping Destination" pretty much discribes what iPrice represents. Why is it your one stop shopping destination? Easy! Because the variety they have includes electronics, clothing's, shoes, bags, watches, jewellery, kids & toys, sports & outdoors, home & living, beauty & health, media & books and many more! Its like going to an online mall. I've taken a screenshot for your convenience below. 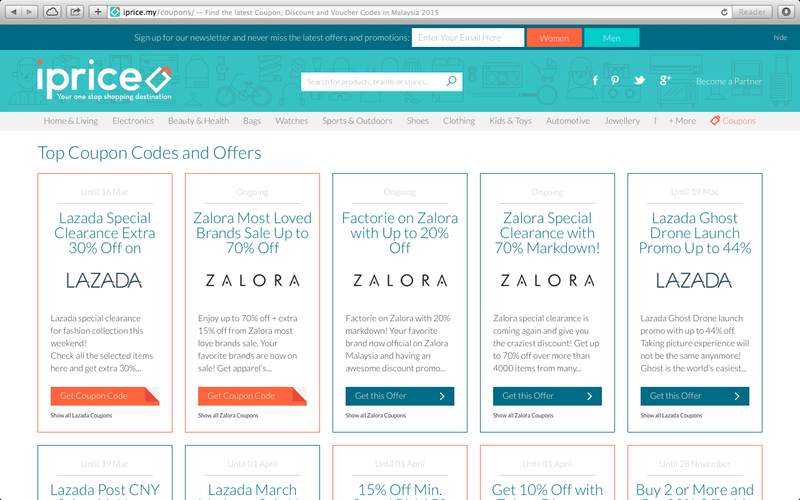 So im sure y'all are wondering, whats the difference between iPrice from Lazada or Zalora? Well, heres the sitch, iPrice stays away from the nitty-gritty part of e-commerce that is operations, logistics and the like. Instead of making your life harder on deciding to buy that dress you've been dying to have but unsure of wheres the right place to look for it? YES, this is where iPrice comes in. It lends you a helping hand in assisting you in the world of the online shopping to make sure you find what youre looking for and then hand you over to their trusted e-commerce partners to actually buy the products you want. As simple as that , you can easily achieve your dream look thanks to iPrice. And thats not even all. Safety wise, im sure we are definitely afraid of scams of the online world right? But with iPrice, they basically scan through the internet for the most trusted e-commerce shops in Asia and globally onto one platform that is know now as iPrice. Not only that they focus on fashion, but also providing options on other product categories as well. Here are my top picks that i've found on iPrice! MY TOP PICKS ON iPRICE! Im not sure about you, but this got me really excited. Because being a fashion enthusiast, it gets really hard to find the right top that you eager to buy. Even when you ask online, most of them will refer to shops that are only available overseas *inserts sad face here* #lifeofanasian. The Vouchers and Coupon codes that you may use provided by iPrice. Oh and before i forget, iPrice also has relevants sales, offers & promotions occassionally. From today onwards, so gone are the days of checking 20 different websites to find the particular product youre searching for at the best price. Therefore, making iPrice your one stop shopping destination! Heres the direct link to check out their current Coupons. Do leave me a comment if you have any questions. Till then, i hope you find your read an amazing discovery. Disclaimer: This is a sponsored post from the iPrice group but all opinions are mine, honest and original.